Protecting confidential and proprietary information is a huge concern for any company. It’s one thing when you have an accidental breach or theft of employee or customer data- it’s quite another when high-level, game-changing, make-or-break-your company trade secrets are stolen by your competitors. 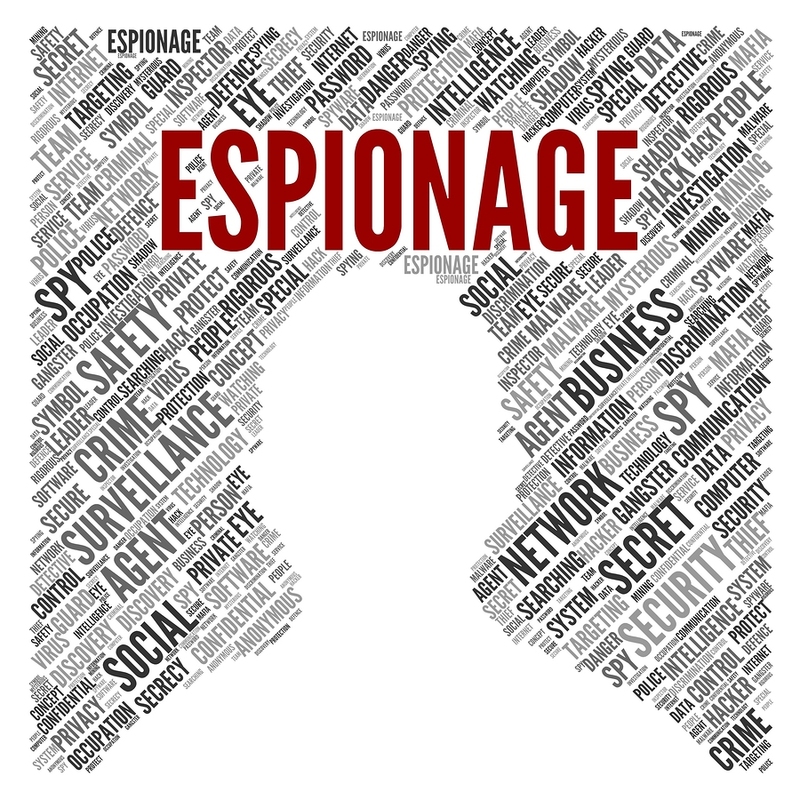 Corporate espionage (also known as industrial espionage) has been a thorn in business’ sides since the 1800’s. The consensus definition of corporate espionage is any operation or act conducted by one corporation against another to acquire a competitive advantage. Even though the days of dumpster diving for information are winding down, corporate espionage is still a major factor in several competitive industries. There’s too many ways for a corporate spy to infiltrate your company. It could be as simple as gaining access to your corporate office to do some low-tech hacking, or attempting to steal files or other information electronically or by obtaining hard-copy documents. Maybe you send in some of your employees to infiltrate the company by creating an opportunity to interface with high-level executives to obtain information. How does this connect to shredding? That one’s easy. In any business, critical information that could make or break your company is passed along in hard copy format. Even though more and more companies are moving towards a paperless office, most companies haven’t made that transition just yet. Although we cover some of the best ways to secure your documents for your business here, we wanted to focus on the some of the ways you can protect your company from corporate espionage when your documents or electronics are on the tail end of their life cycle- more specifically, when they need to be decommissioned or destroyed. What are Corporate Spies Trying to Find? 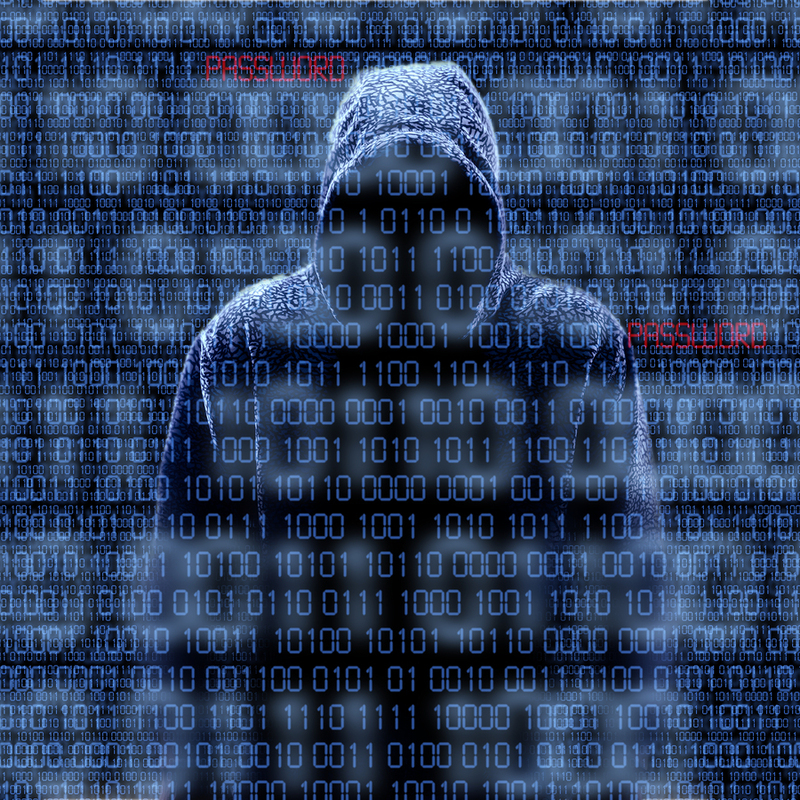 Preventing corporate espionage starts with an understanding of where you might be vulnerable to a breach. Defining and refining the process of how important documents are filed, stored, and secured is half the battle; you also need to have a specific timeline of how long documents can and should be retained. To start, let’s take a quick look at some of the different types of information that are targeted for corporate espionage. Keep in mind that some of this information can be obtained legally- but if you’re in the stages of processing patents or developing products, these items could still could be a target. If your competitors had even one of these items, there’s a good chance they could use it against you. The good news is that there are several ways to protect your company and minimize the chances of a corporate spy getting a hold of your sensitive information. What Can I Do to Protect My Company When I’m Disposing of Documents and Electronics? Although proper planning, training, and a clear process help develop and maintain a document management plan, security tends to break down when they need to be destroyed. Improper disposal- and even proper disposal without using the proper techniques- can open a doorway into your company that you might not ever be able to close. Here are some of the more secure and reliable ways to make sure that no sensitive materials that you thought were erased or destroyed end up in the hands of a corporate spy- or any of your competitors. Disposing of documents properly is one of the easiest issues to solve. Some companies institute a shred-all policy, where all documents are shredded regardless of their importance, while others offer secure, locked bins in their office that are picked up and shredded regularly by a secure shredding company. Here’s some tips to ensure that your documents are properly destroyed. A mobile shredding service helps eliminate the fear that your documents will be lost or stolen in transport. A mobile shredding truck comes to your office and shreds all the documents you have placed in secure, locked bins in your parking lot while you watch. Because your documents never leave the property, you mitigate the chances of corporate espionage and ensure your documents are destroyed. 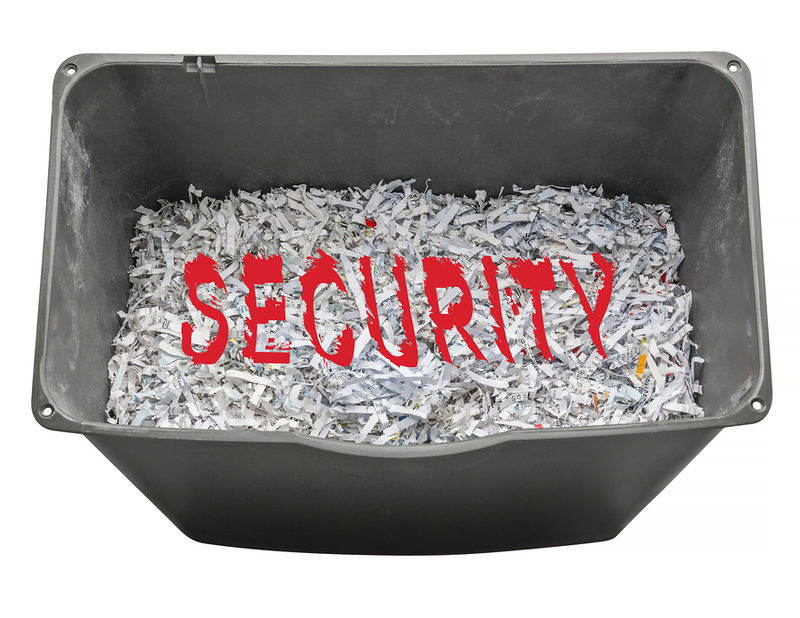 We understand that there’s very good reasons to justify shredding your documents yourself. Once you understand some of the tactics for corporate espionage, you will truly understand how much risk is involved. Do you really want your lower-level employees that might be (or consider being bribed by) a corporate spy shredding all your documents? It takes seconds for employees to read a document and determine if it might be useful, then slip it into their notebook or take a quick picture with their smartphone. We talk about some other risks here– but security can easily be compromised by using an office shredder- especially if you don’t use secure locked bins to store all documents before you shred them. Shredding companies are not all created equal- if you are destroying super sensitive materials, you need to be sure to check into any professional shredding service that you’re considering. One of the best ways to ensure your shredding provider is credible is to check if they are NAID AAA Certified. This certification ensures that the shredding company verifies that protocols are in place to ensure the security of confidential material throughout all stages of the destruction. By selecting a shredding company that has this certification, you have taken one more step to ensure your information is protected. There’s dozens of other ways to secure your documents throughout your document management plan, but these three items will reduce the chance for a corporate spy to gain access to your company through your discarded documents. If corporate espionage is a huge threat to your company, you also have to consider how you dispose of your electronics and media– more specifically your computers, hard drives, disposable media, and even your copiers and fax machines. Each of these electronics could still hold all of your company’s secrets- even if you think you wiped them clean. 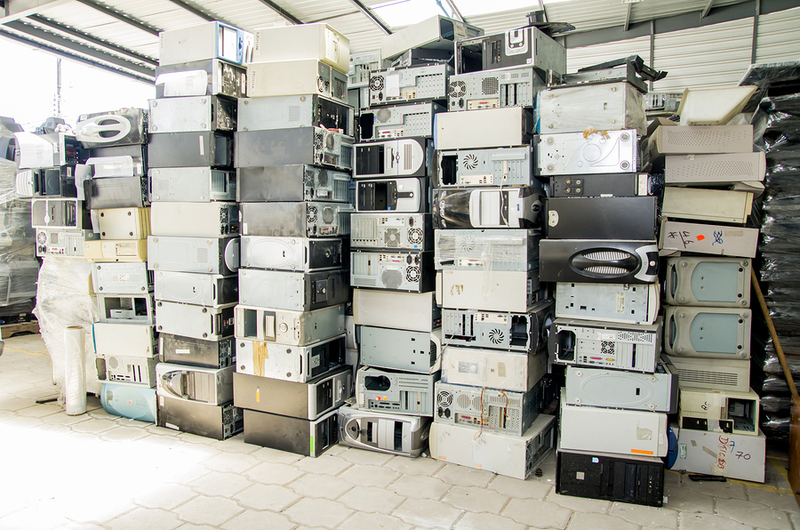 Discarded electronics is something that usually is overlooked- especially in small businesses. It used to be safe to just erase the files from a hard drive or unplug a fax machine and sell it online or take it to the dumpster. Now, there’s hardware and software solutions that can recover all that data as quickly as you eased it. Anything with a computer chip (which is everything these days) can be compromised. Corporate spies have even found ways to take information that is stored on copiers (which are also scanners), fax machines, phone systems, and more. Let’s focus on electronic media destruction, which is where most corporate spies want to gather information. Hard drives, thumb drives, CDs/DVDs, and external hard drives that aren’t properly destroyed are huge security risks. There are three ways that you can ensure this data is removed and completely inaccessible- using accredited software or data erasure tools, degaussing, and physical destruction. You can read all about how these methods work here. 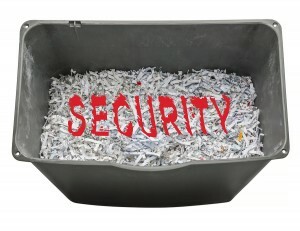 Do you need secure Document Shredding or Electronic Media Destruction? Shred Nations can help! Whether you’re looking for secure mobile shredding services or electronic media destruction, Shred Nations can help you find a NAID Certified provider in your area. Our trained staff of specialists that can help you decide the best course of action for your project. Our network of contractors allows us to come to your location if you need to ensure a proper chain of custody, and you will be provided a certificate of destruction that details when and where your documents or electronics were destroyed. To get started, fill out the form to the right, or give us a call at (800) 747-3365 for a FREE, NO OBLIGATION QUOTES IN MINUTES!